Deakin University will partner with aid organisation Aquaculture without Frontiers (AwF) to improve outcomes in disadvantaged communities using sustainable aquaculture farming. The new partnership between Deakin aquaculture and marine sciences experts and AwF will include research programs designed to improve the nutrition and health within communities and to foster social and economic development. “We are excited to partner with Aquaculture without Frontiers, which supports responsible and sustainable aquaculture to alleviate poverty and malnutrition and to enhance food security for disadvantaged people,” Deakin Associate Head of School of Life and Environmental Sciences Associate Professor Giovanni Turchini said. “The partnership will also provide a platform for aquaculture professionals to come together and volunteer their services to achieve these objectives. Associate Professor Turchini said the collaboration would enable students to experience hands-on learning in real-world settings, while they contributed to communities by helping to facilitate sustainable aquaculture practices. 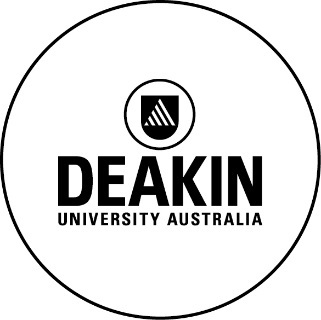 AwF (Australia) Chair Katherine Hawes said the organisation’s partnership with Deakin was one of the first actions of the newly-established Australian arm of the global organisation. “We aim to be a catalyst for change as a means to improve the nutrition and health of people and to foster social and economic development through supporting responsible and sustainable aquaculture. Plans are also in place to look at incoming training or short course workshops at Warrnambool utilising Deakin and AwF networks. There is also the important aspect of utilising the partnership to promote the Deakin brand in the field of aquaculture. Associate Professor Turchini said Deakin’s main aquaculture activities in Warrnambool were very close to the birth place of aquaculture, by indigenous Australians many thousands of years ago. “We aim to kick off the partnership with an Indigenous Symposium in the first semester of 2015 as it important to know how we can assist Australian indigenous people in today’s environment with aquaculture activities,” he said.